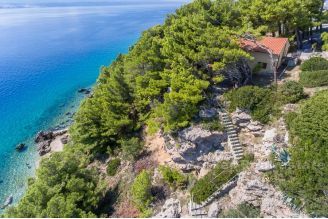 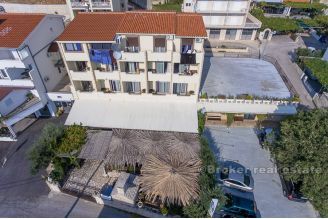 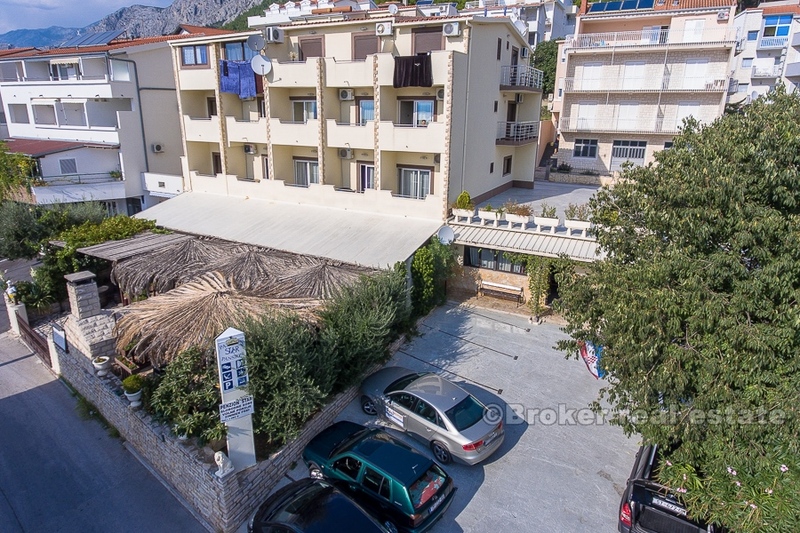 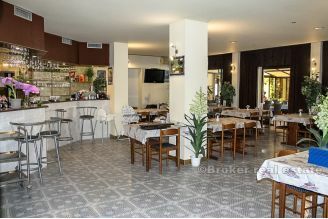 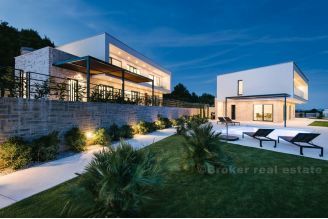 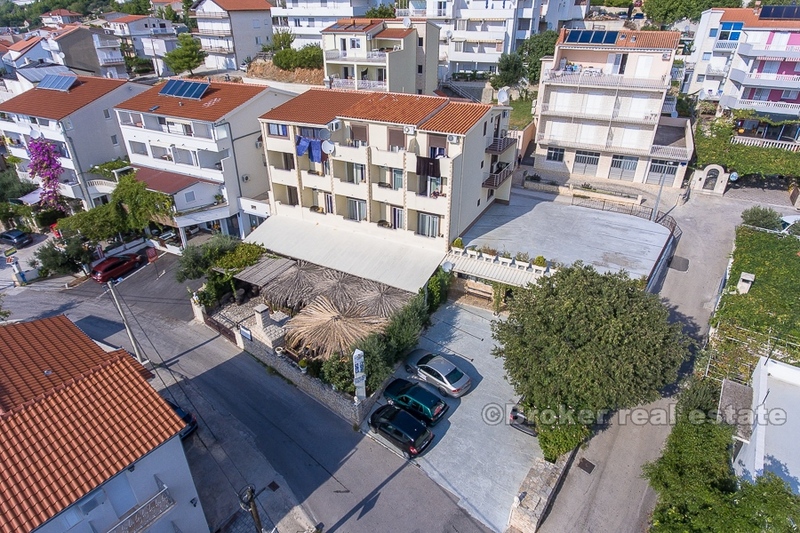 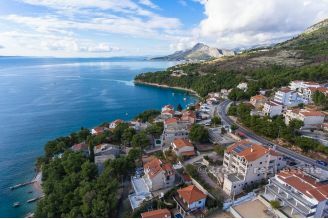 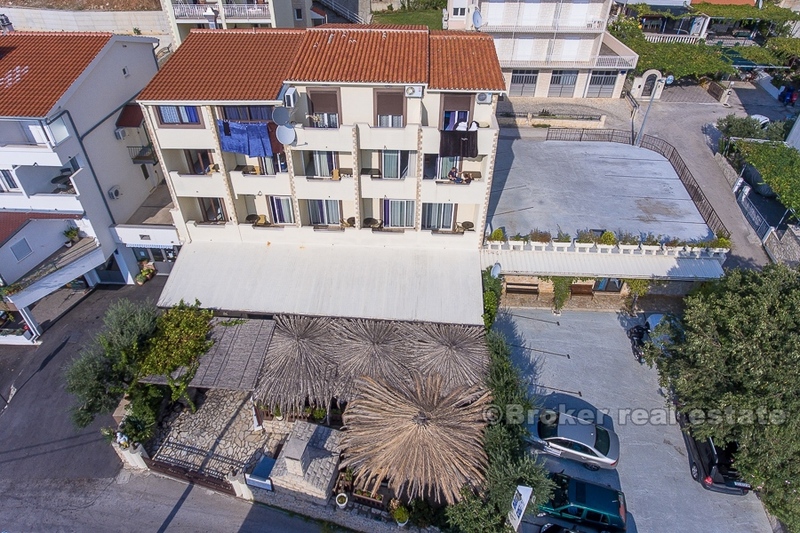 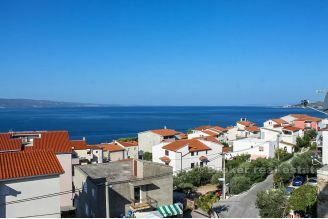 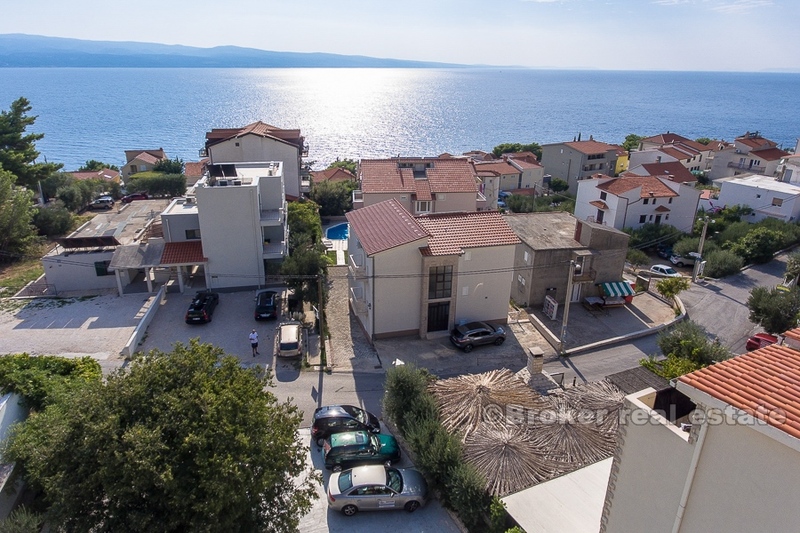 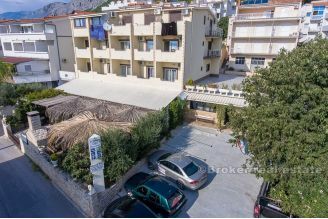 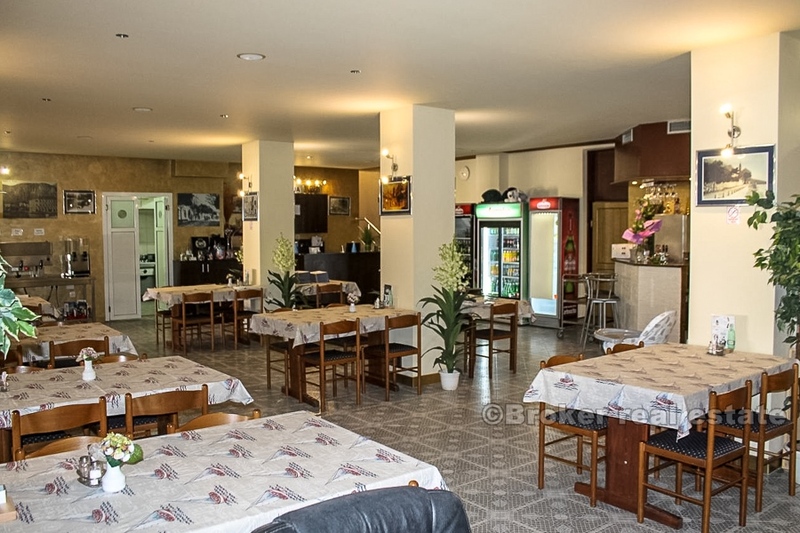 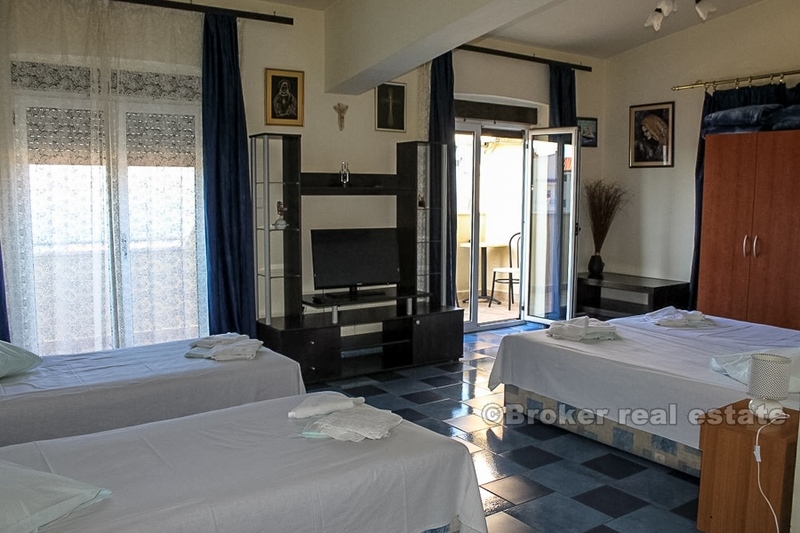 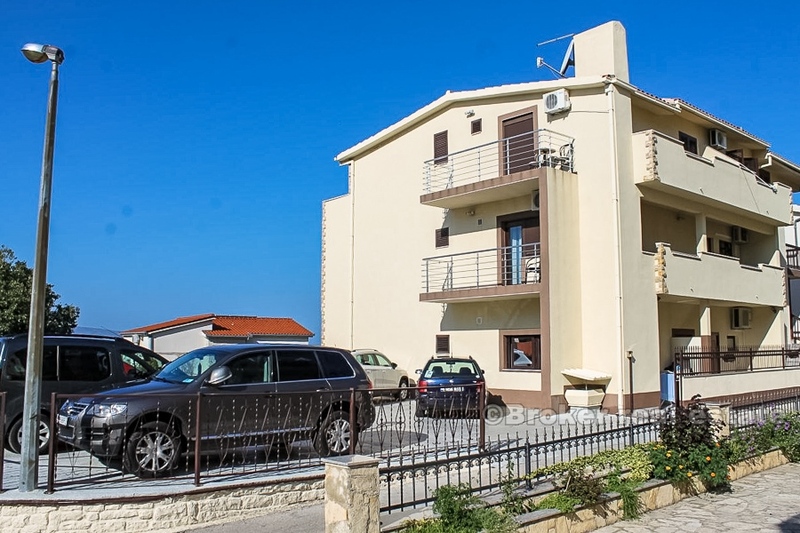 Interesting investment in hotel business, in a tourist village Nemira, only a few kilometers away from Omis. 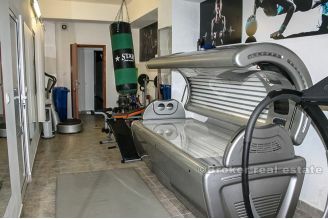 The facility consists of ground floor and three floors. 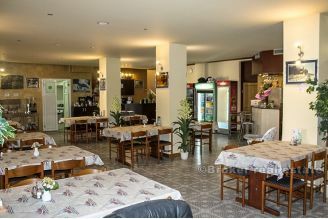 On the ground floor is a spacious restaurant with a 160 seats divided into indoor and outdoor part, with its bar and three toiletes, additional extra room for dining in case of need, a large kitchen, fully equipped and decorated, area with indoor pool, an area with equipment for gym and fitness, as well as additional facilities such as a pantry in the kitchen, cloakroom and toilet for staff, showers for users of the pool, two additional toiletes, smaller reception etc. The first floor has 8 rooms, three of which are double (6 beds), and 4 are double with optional extra bed per room (12 beds) and one room for personnel. 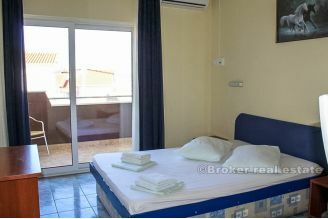 On the second floor there are 4 double rooms (8 beds) and 4 double rooms with extra bed (12 beds). 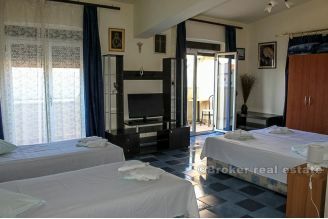 On the third floor there are two double rooms with two extra beds (8 beds), one spacious family room with 4 beds, and another double room (2 beds). 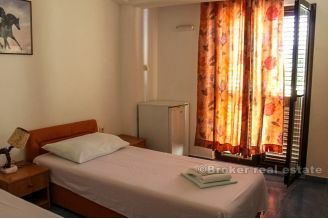 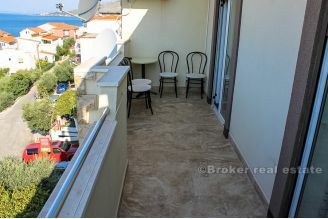 On the third floor there is also a private apartment with two bedrooms, living room, kitchen, bathroom and balcony. 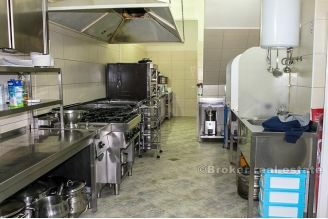 All together, the facility has 20 rooms, ie 52 beds. 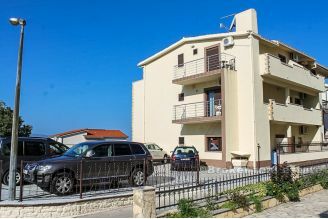 Each room has a balcony and a sea view and all have been completely equipped and furnished and have been rented for many years. 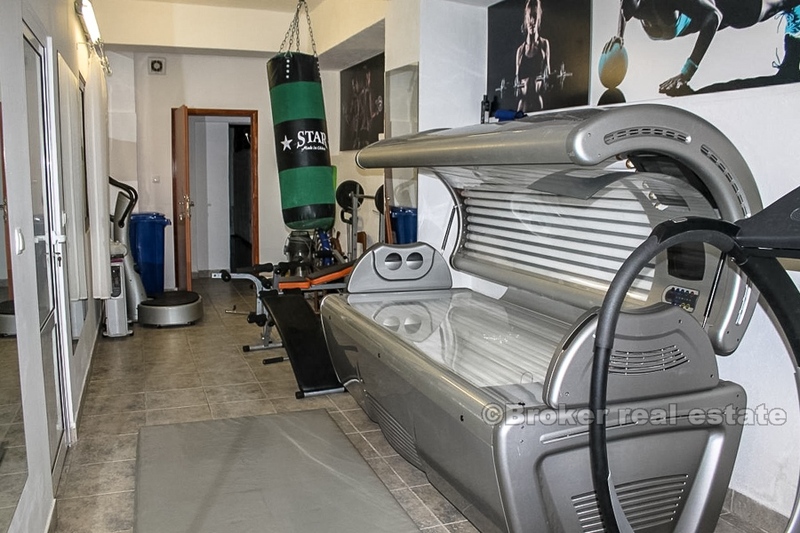 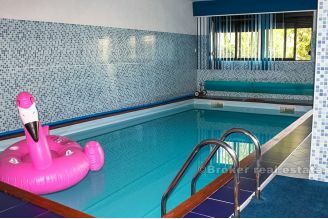 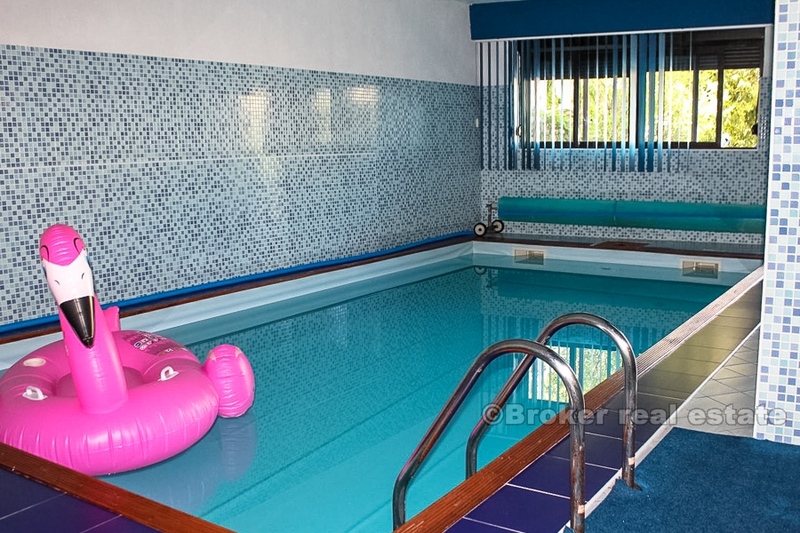 The property is in excellent condition, the installations have been completely changed 8 years ago, and the facility itself is very well maintained up to smallest details. 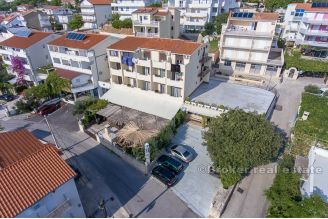 In addition to this, the property has a total of 17 parking spaces, with 8 places in front of the building and 9 places behind the object. 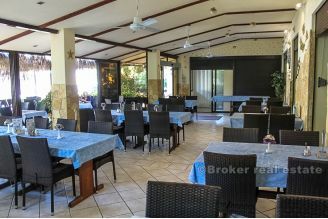 This property is 200 meters from the sea, we find as advantage, because there is no noise from the beach, which is good for the guests, and on the other hand, the beautiful beaches are in only two minutes walking distance from the house, so that most guests spend the whole day on the beach and relax on the balcony, restaurant or pool during the night. 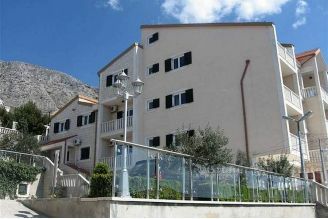 This tourist facility is already 20 years constantly record great results through a rental, and a large number of "old" guests, in love with this part of the Adriatic coast, which found in this offer everything they need for a family vacation, as well as the beautiful city of Omis which provides many additional facilities, ranging from numerous different restaurants, events, and strong excursion and sports offerings that are expanded every year with additional amenities. 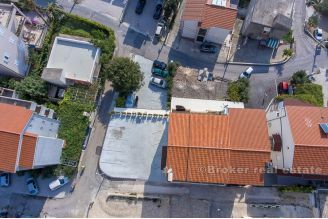 The property with its asking price covers investment for a period of 15 years, with additional potential for the development of a restaurant offer, considering the number of seats (one of the largest restaurants in this area in general) and the potential that this restaurant has. 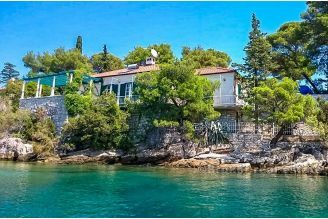 Very interesting offer on this part of the coast, which guests from Central Europe most prefer, and are always happy to return next summer.